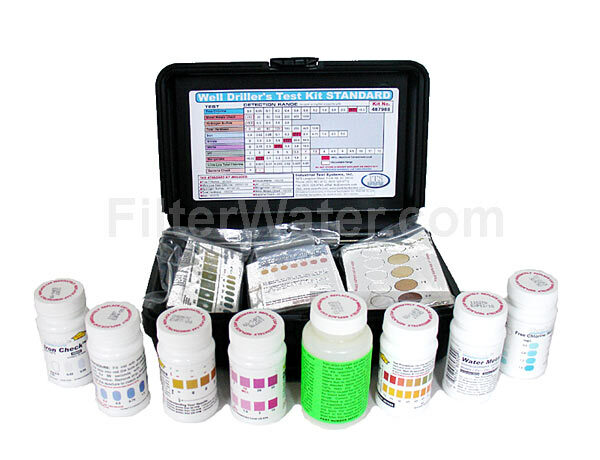 A comprehensive Well Driller's Water Test Kit is designed for professional well drillers, homebuilders and do-it-yourself homeowners. 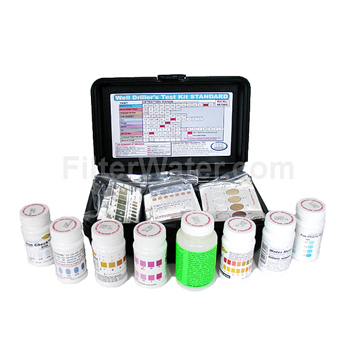 An on-site, easy-to-use water quality test kit has everything you need to test your well water. No more bulky equipment to carry, no waiting for lab results. Visible color-coded results are achieved on the spot within minutes (except for Bacteria test which takes 48 hours)! Kit comes in a sturdy black plastic carrying case. Excellent for Home Inspectors too! This product is great for anyone having a well put on the property. My wife and I recently built our dream home. City water was not and option, so we were forced to have a well created. This product helped us make sure that our water was free of harmful substances, and safe to use. We found this product very helpful! Very friendly company, thank you for answering all of our questions.